Starting at 00:01am GMT in the U.K. on March 24, 2013, (4:01pm PST/7:01pm on March 23, 2013 in the U.S.), for the entire day, fans all over the world will be able to share thoughts and comments via twitter using #DarkSide40 and witness the impact as the volume of messages combine to turn the moon dark. Originally released in the UK on March 24, 1973, The Dark Side of The Moon became Pink Floyd’s first number 1 album in the US, remaining on the chart for 741 weeks between 1973 and 1988. Since its UK release, the album has spent an astonishing 30 years in the UK album charts. One of the best-selling and most critically acclaimed albums of all time, The Dark Side of The Moon also introduced the iconic album cover artwork by Storm Thorgerson of Hipgnosis, after a request for a ‘simple and bold’ design. To celebrate the 40th Anniversary, Storm Thorgerson and Storm Designs have created 14 exclusive new prism designs that will be unveiled daily on PinkFloyd.com. These prism designs will gradually form a celebratory poster, downloadable in three different sizes on March 24, 2013. 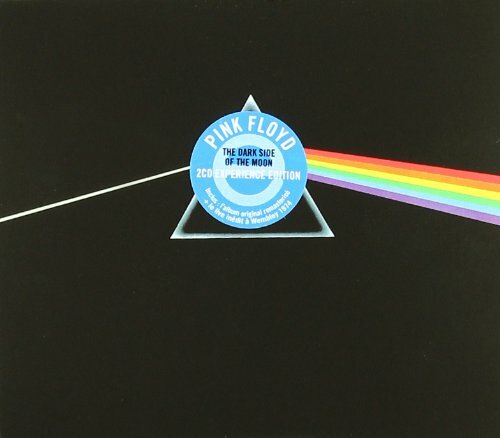 The most recent updated version of The Dark Side of The Moon was released in September 2011. Pink Floyd have sold over 200 million records worldwide to date. 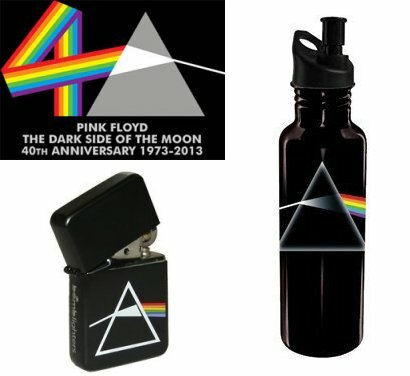 For a chance to win your very DSOTM Pink Floyd Prize Pack fill out the contest entry form after the jump. Contest ends on Friday, April 5 at midnight ET. One entry per person, US residents only. My all time ulta favorite LP (&CD)!! They have put out some amazing music! The writing is genus! I love the Pink Floyd.